I walked into Target the other day and stopped by the dollar bins like I always do. I was beyond excited when I discovered these little wooden airplanes. Not only is my little boy totally obsessed with airplanes, but his room is in dire need of some decor. 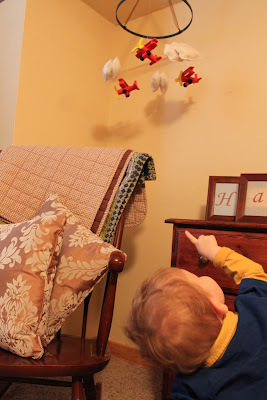 I decided I would make him a mobile with the little planes that I found, and this is how I did it! 1. 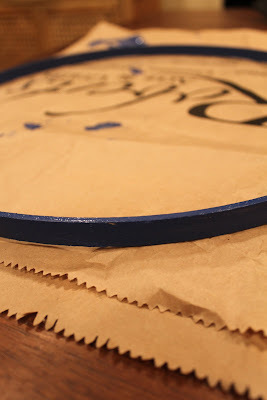 First I painted a giant quilting hoop. 2. 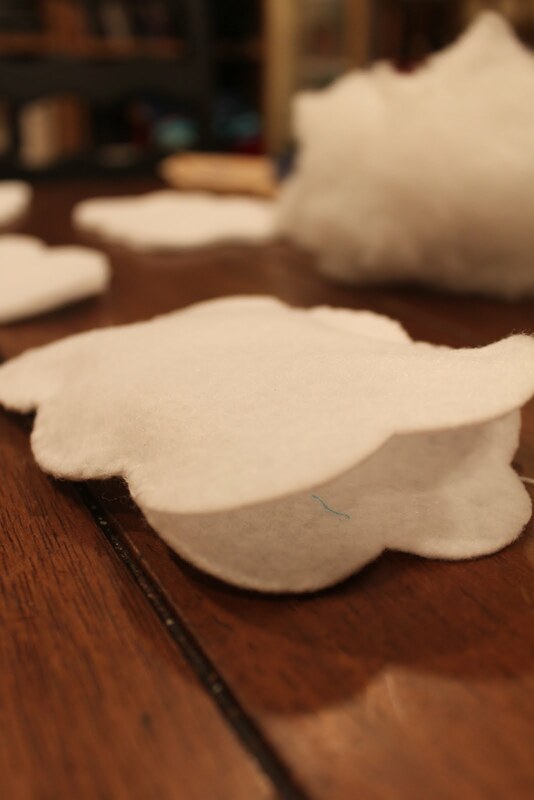 Next I decided to make some clouds out of felt and poly-fill. I simply cut out cloud shapes, making sure each cloud had two pieces, (a front and a back), so that I could sew and stuff them later. After cutting out the shape, I sewed the two matching cloud pieces together using the "Blanket Stitch". Click "HERE" for an awesome tutorial on YouTube if you are not familiar with this stitch. I only stitched the cloud half way so that I could stuff it. I used quite a bit of stuffing to make my clouds appear extra puffy. 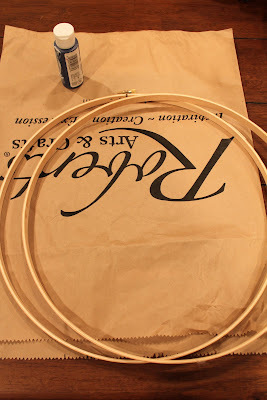 I continued using the "blanket stitch" to close up the cloud. 4. 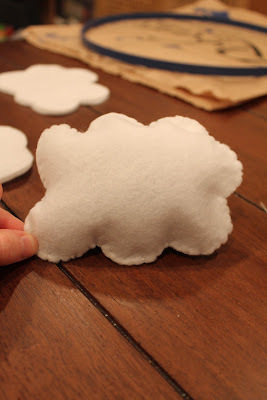 Hot glue the clouds together. 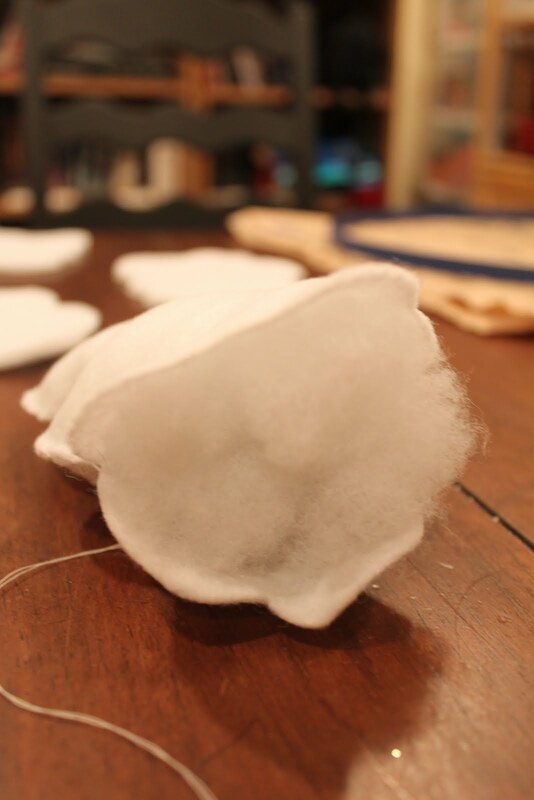 I made a total of six clouds and glued two together. 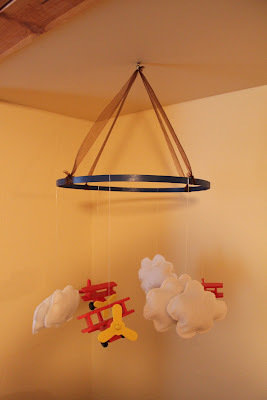 This gave me three cloud groups, to go perfectly with the three planes that I bought. 4. After I glued the clouds together in groups I got the plastic bead string out. I simply tied a double knot near the top of the pin. At the knot I dripped a drop of super glue so the know would stay tight. I did this 3 times, one for each bunch of clouds. 5. Stick the pin down in between the clouds that were hot glued together, then hot glue the cloud above the pin together to hide the pin and secure the string. 6. 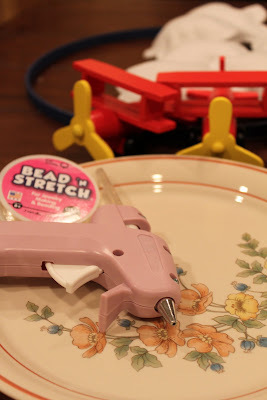 Tie the stretchy bead string around the airplanes. After you have string coming from all the clouds and planes, tie them on the painted hoop. I double knotted everything!!! Maybe even triple knotted... At each knot drop a drip of super glue for extra security. 8. Hang it up! Your done! I think he loves the new addition to his room! great idea! Love the dollar bin and wish we lived near a targe! Turned out great. Very cute mobile. Perhaps if I can find planes similar to these I can make my son one, too. He is in need of some decor in his side of the room (shares with his sister for now). 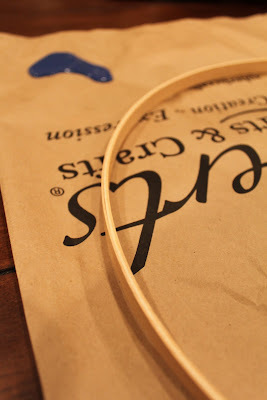 I found you through Pinterest and someone pinning this tutorial.